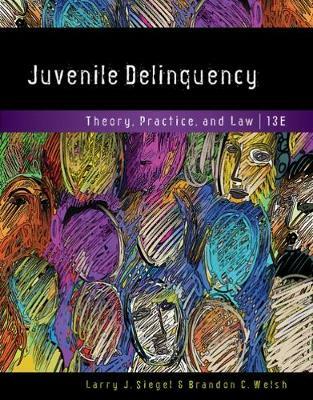 Unrivaled in its current coverage of topics, the thirteenth edition of best-selling JUVENILE DELINQUENCY: THEORY, PRACTICE, AND LAW provides you with timely coverage of theory, policy, and the latest research. Praised for its balanced approach and for the authors' engaging writing style, this text will help you understand the nature of delinquency and its causes, as well as current strategies being used to control or eliminate its occurrence. You'll learn about emerging types of gang activities, DNA evidence in juvenile court, school-based delinquency prevention, and many others timely issues.